preeflow 1-component dispenser completes "Tarantula"
Essemtec AG celebrated a world premiere at the SMT 2018 in Nuremberg with the newly developed high-speed dispensing system Tarantula. The Tarantula is a further development of already successfully used systems. The integrated dispensing components must meet the highest demands, e.g. for the application of solder pastes, adhesives or also for dam & fill applications. A total of three different dispenser axes are part of the system, including an eco-PEN from preeflow. Only one single machine for everything around dispensing – that was the aim of this new development. Independent of the field of application, material or quantity. 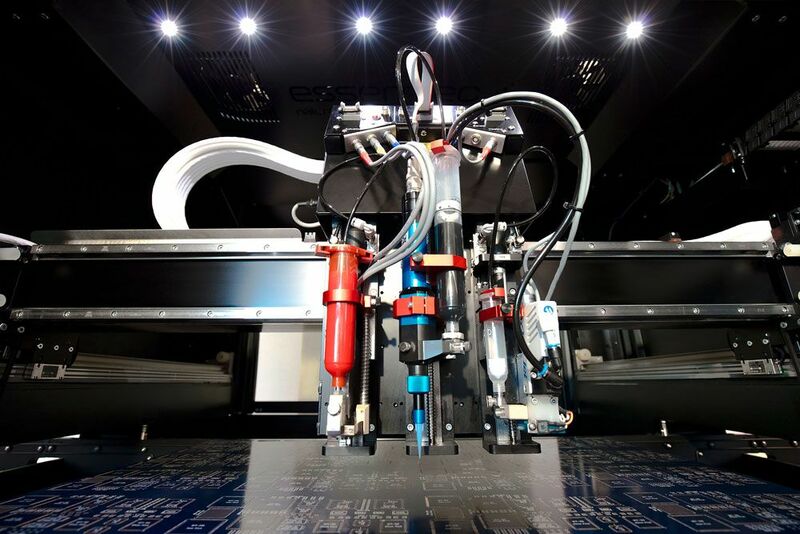 The Tarantula is a fully automated system that can be used individually on the one hand, but it can also be integrated into a production line on the other hand.